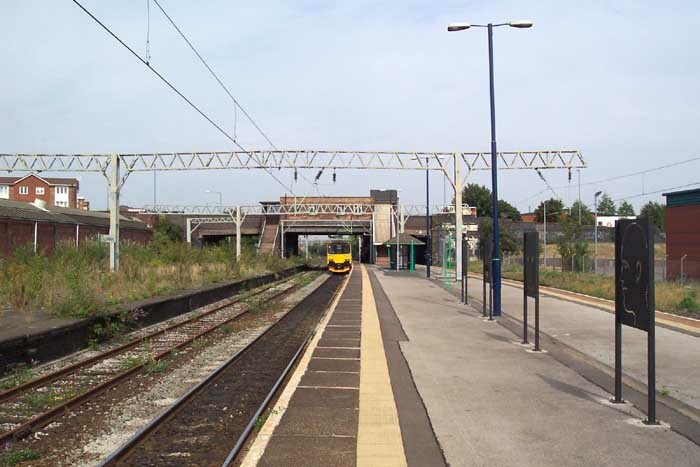 Originally opened as Vauxhall Station in 1837, Duddeston Station has a far from insignificant place in the history of Birmingham's railways. 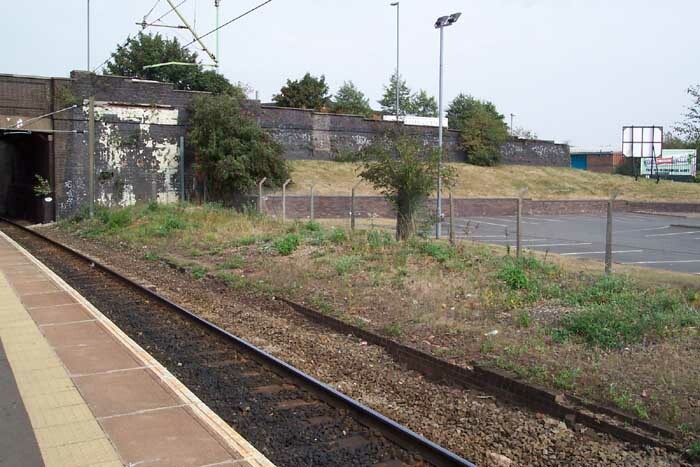 Phenomenally run-down and semi-derilict the station site may now be, at one time it housed the temporary terminus of the Grand Junction Railway from Liverpool via Stafford: the first railway to reach Birmingham! When the permanent terminus opened at Curzon Street in 1839, Vauxhall became a goods-only station until it was rebuilt and opened in 1869 under the LNWR, who had absorbed the GJR in 1846. 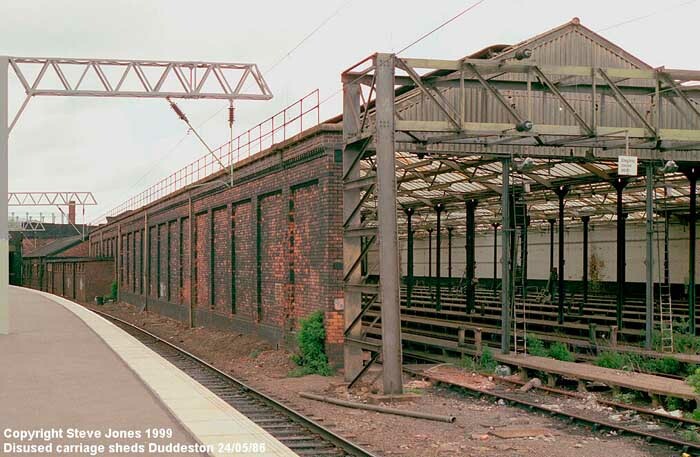 It was renamed Vauxhall and Duddeston Station in 1889 before finally becoming just 'Duddeston'. 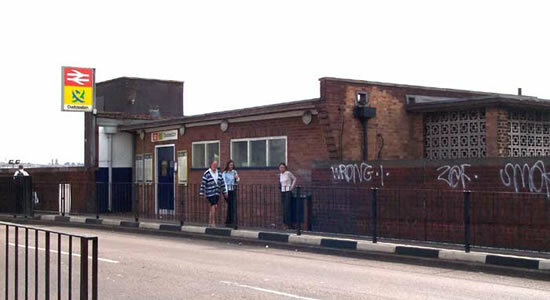 Above we can see the 'inviting' entrance to Duddeston Station on Duddeston Mill Road, September 2003. Above-left we are on the only operational island platform at Duddeston looking towards Aston - as the station is the first out of New Street to the North the flow of traffic through it is very heavy but stopping trains appeared rather infrequent and there are no facilities on the platform to indicate what trains will be arriving and when. Above-right is the view towards Proof House Junction and New Street and shows well the appallingly unkempt disused second island platform to the right. Above-left is a clearer vew of the disused platform and beyond it what appears to be shrubland but is infact several long sidings and a shed: buried amongst the undergrowth I noticed a rather delapidated track-laying loco! Above-right is a clear shot of the now bricked-up and disused sheds - unfortunately it was not possible to get any closer to explore further. 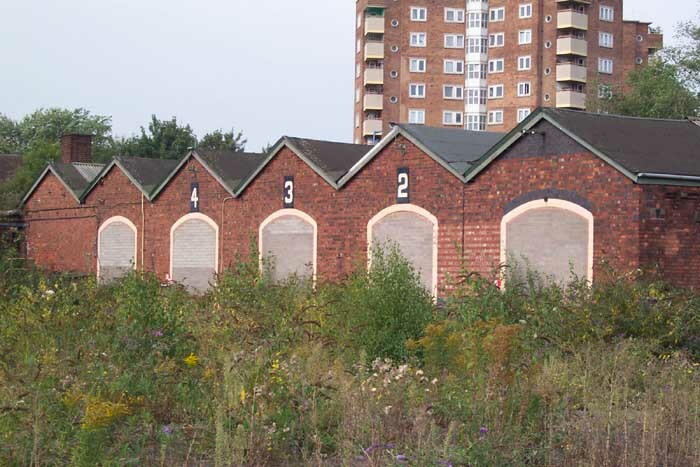 Above-left is a photo taken by Steve Jones in 1986 showing the considerable carriage shed which also stood on the site but has now been demolished and above-right the same spot today. 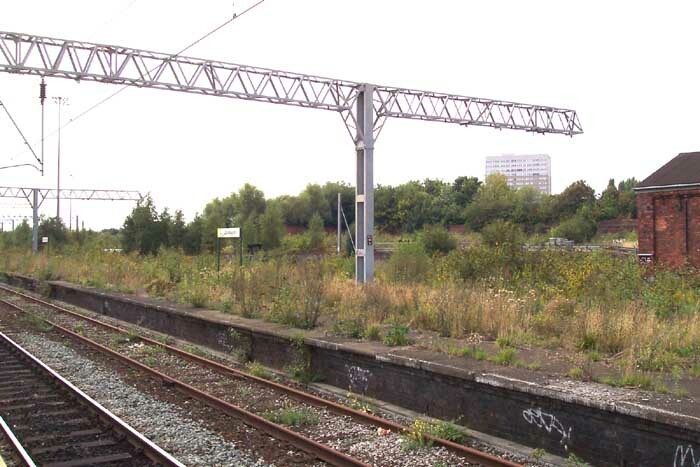 This station was once a considerable railway concern and yet today it is reduced to a single platform, overgrown ruin. I think that more than any other operational station I have visited, Duddeston serves best to graphically illustrate the decline of Birmingham's railways.